Like many entrepreneurs, I have self published a book. I have ghost-written a book for another author which she self-published, I’ve done the editing and layout on several other books for a small publisher, and I’ve published my own book (soon to be two!). I was recently asked for some information on how to get started in self-publishing. As I often do, I am posting my answer here. The question I am asked most often is how you get the ISBN (international standard book number) and barcode. The answer to this depends on whether you want to set yourself up as a publisher or not — which I discuss a little later. If you want to publish something that is spiral-bound, such as a cookbook or journal, then Lulu is the best option, but it is only available with cream (not white) paper. CreateSpace and Lulu both offer authors/publishers a low per-book price for buying copies of your own book, however with CreateSpace there are no bulk discounts. So if you are planning to buy in bulk and sell to/through distributors, then you might be better off using Lulu, which has a bulk-discount structure. CreateSpace now has a matte-finish available for their covers which I really like (and my readers have commented to me that they like it). Both portals are easy to use if you are uploading your own finished PDF files. They both also offer online tools and services, as well as professional assistance for a fee, but I have never used them so cannot advise about that. Do you want to be a “Publisher”? One of the early decisions to make is whether you want to be your own publisher, or just publish under the imprint of CreateSpace or Lulu (or whatever self-publishing tool you choose). Your choice may affect some the ways you can promote your book, so when you look into the options offered by your self-publishing tool, read carefully. If you are publishing just one book and you don’t want to have to deal with any extra hassle, then the easiest route is to just let it be published by the self-publishing tool and that is that. The self-publishing tool will be your publisher. They will assign your ISBN and supply your barcode. They will also add some additional content to the back cover of your book, such as their URL. Every company is different. My approach was to form my own publishing business. This way I can set up my website and have total control of what is printed on the back of my book. If you plan to publish multiple books then this is what I suggest you do.If you go this route, then you will need to purchase your own ISBN. If you think you would ever want to publish an additional book any time in the future, even a book by someone else, then you will save money by purchasing multiple ISBNs at the same time. Go to Bowker.com to purchase ISBNs or learn more. If you start a publishing business, you need to take it seriously. Name your business, get a domain, register the name with your secretary of state and either form an official company or at least file a DBA. Next set up an email address, and track all your costs. This is a business. All your expenses are write-offs to offset the millions you’ll earn from selling the book. Many, many books, blogs, websites, organizations, and consultants are around to help you as you write a book so I’m not going to write about that. However, if you want to self publish a book and have the goal to make money, then you need to take it seriously. There is a significant amount of competition out there, and you will only succeed if you have a quality product. Unless you are a professional editor yourself, you must have your book edited. Even if you are a professional editor, you should at least have a “second pair of eyes” read the boo — and not just an average reader, but someone you know who will pull no punches and be critical. Take your time and go through many rounds of submitting new files and having them send you a proof, because you have to be sure before you click that “Publish” button! Once you publish, that book and any comments people have made about it on Amazon will never go away. The layout of your book is important. If you do not do layout yourself, consider hiring a consultant to do that for you, or use the services offered by CreateSpace or Lulu. If you like playing around with layout software but you are new to it, I would strongly suggest that you have a consultant lay the book out for you, then you get those source files back from the consultant and you fine-tune it yourself. Your cover design is extremely important. Depending on the market for your book, consider having one professionally created for you. While it is just as easy (and more fun) to publish your book in color, the cost of your book will be much higher which will impact your sales as well as your bottom line. It can mean the difference between a $2 per-book royalty and a $8 or higher one. Of course I have to put in my own shameless plug: Let me know if you’d like to talk about editing and layout services from Miller & Mattson! We all know the famous line from the film Field of Dreams: “Build it and they will come.” Forget about that. It may be true for magic baseball fields, but that’s about it. Marketing your book takes a lot of effort, and frankly you’d be hard pressed to go far without luck and money. There are quite a few folks out there who can help you market your book. If you’re interested in learning tips for doing it yourself, Joanne McCall is a great coach who has many years of experience doing PR for authors. Joanne McCall gives you simple, easy strategies for fantastic media coverage on your book…. whether you’ve self published, POD, you have a publisher, or even if you’re still writing your book. You can sign up for Joanne’s webinars here. Having positive Amazon reviews is crucial for sales. About a month before you publish, buy proofs from your self-publishing company and send those to people to review so that as soon as you publish, you can get reviews on your Amazon page (also if there are some juicy quotes, you can excerpt and put them in the book or on the back cover as well as posting them on your website). While it’s good to get book bloggers or others to review, for this first “pre-publish” push for reviews, get at least a few people who you know will follow through – but nobody with your same last name! Write a press release that tells what the book is about, why people will want to read the book, and who you are. Writing press releases is an art, so plan to take plenty of time to do it. There are plenty of consultants who can do this for you. Get a good photo of yourself with an uncluttered background, and get a nice photo of the book or a good image of the book cover. Post these to your website and include links to them when you send out your press release. Pulling together a list of places to send your press release to is a very big job. You want to send it to any websites, newspapers, magazines, television outlets, bloggers, or other companies who would have an interest in your topic. Rather than putting the list together myself, I hired a PR company to do it for me. I still had to go through the list and choose the most appropriate ones, but that was much easier than building the list from scratch. Create a Facebook page for your book, post some meaty content, then create a Facebook ad to generate likes. Try to add something interesting to that page at least every other day. Facebook ads are inexpensive and I have found them to be very effective. 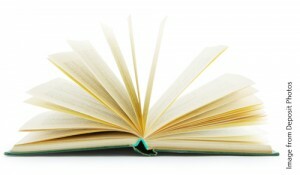 Create a webpage about your book, preferably with a domain name you own. (You can get away with not doing this only if you have a robust Facebook page.) On that page you will have the info that is in your press release, but re-written so it’s not exactly the same. Include links to your press release, a Q&A (ask yourself, “what would Terri Gross ask me?”), photos, maybe a sample chapter or other content, and content that is related and would be of interest. The audience for this page is potential readers, but really it’s for the press. Look for anything going on in the world that you can use to market your book. For example, if you prominently feature spinach in your book, contact your local Spinach Club to buy an ad in their newsletter. I donated books to a charity that holds an annual auction for charity, and I gave books to a local bar for them to raffle off on the night when they had a themed event that went well with my book. Writing and publishing can be a very rewarding experience, but it takes a lot of work!